A hot cup of tea, a warm blanket, my favorite chair, and the crackling of a fire in my living room. This is my personal favorite way to enjoy a great book. We are never too far from a compelling story. Whether it's an engaging audio book while driving, a meaningful discussion with your book club, stealing a few precious moments on the run with your e-reader or an all too infrequent movie night with the family - these are all great ways to encounter life changing stories. I hope you'll browse around below and find the way that's most effective for you to be transformed by a story. Hint: use the circles on the right (hover over one to see title) to navigate to specific titles. ...the smallest things can make all the difference. Robert is a successful attorney who has everything in life-and nothing at all. Focused on professional achievement and material rewards, Robert is on the brink of losing his marriage. He has lost sight of his wife, Kate, their two daughters, and ultimately himself. Eight year old Nathan has a beloved mother, Maggie, whom he is losing to cancer. But Nathan and his family are building a simple yet full life, and struggling to hold onto every moment they have together. A chance meeting on Christmas Even brings Robert and Nathan together-he is shopping for a family he hardly knows and Nathan is shopping for a mother he is soon to lose. In this one encounter, their lives are forever altered as Robert learns an important lesson: sometimes the smallest things can make all the difference. The Christmas Shoes is a universal story of the deeper meaning of serendipity, a tale of our shared humanity, and of how a power greater than ourselves can shape, and even save, our lives. ...love is always the greatest gift of all. In The Christmas Shoes, young Nathan Andrews was a child who lost his mother to cancer. Now his deepest wish is to become a doctor. When a stranger named Robert gave him the money to buy his mother a pair of shoes for her last Christmas, both Robert and Nathan learned the deepest lessons of love and giving. Now a medical student in his third year, Nathan realizes there are still things to be learned about faith, blessings, and sacrifice. Lessons he will learn from Meghan Sullivan - a young woman born with a hole in her heart that has not kept her from becoming a champion runner. And lessons learned from a young boy named Charlie, who teaches how to live a life of true courage. Together, they will help guide Nathan through the darkest period in his life. The Christmas Blessing is an inspiring story about hope existing in the darkest places, and how love is always the greatest gift of all. ...light can shine into the darkest places. Patricia and Mark Addison have long given up the hope of having a meaningful Christmas. But this year, Patricia's job as a social worker will lead her to a very special five-year-old. Against her better judgment, Patricia bends the rules and takes the little girl to her own home. The Christmas Hope is a story of love in the face of loss, joy when all seems hopeless, and how light can shine into the darkest places. ...when we are forgiven much, we love much. Seven years ago Gloria endured a family tragedy that almost shook her faith to the core. Each Christmas she places a card in an envelope on her tree, restating a promise she made to her husband before he died. Now, having moved from her small town and all the painful memories it held, she is building a life by caring for people in need. Whether it's a young mother who can't pay her electric bill or a family who needs some extra food, Gloria always finds a way. Miriam is a thorn in Gloria's side. Miriam is a constantly critical, disapproving neighbor who looks with suspicion at all the good things Gloria does. When a twist of fate makes them roommates instead of neighbors, it's the ultimate test of patience and faith. Chaz has a good job as head of security at Wilson's Department Store, but each nighthe returns home to an empty apartment. He longs for a wife and family of his own but realizes that the life choices he's made have alienated him. He befriends a young boy whose mother has fallen on hard times, giving him a chance to have a life he thought impossible. ...faith is a miracle that is reborn with each new day. With her life falling apart at Christmastime, a struggling single mom finds a magical family heirloom that leads her to love and good fortune. Christine Eisley is the mother of seven-year-old Zach and five-year-old Haley. Her ex-husband provides little, if any, child support and makes life difficult for Christine by using the children as pawns. She works long hours as a waitress to make ends meet, but her job is in jeopardy because she's often late to work due to the unreliable teenaged sitters she's forced to use. When Christine saves the life of a woman who works in Wilson's department store, the owner of Wilson's wants to find her, to thank her, but Christine has disappeared, losing another job once again. He sets his grandson, Jason, to the task of finding the mysterious good Samaritan. Jason, an accountant by trade who has lost his job to downsizing, thinks he is "above" working at Wilson's. Soon, he discovers that this new task gives him more than he bargains for. ...sometimes you meet people, total strangers, who feel like home. Gretchen Daniels has recently moved into an apartment with her two children to be closer to her mother, Miriam. She and her children are building a life together in a new community when a mysterious young woman, Melissa McCreary, moves into the apartment next to them. Melissa has few possessions, little personality, and keeps to herself. One day, a local landlord who is looking for Melissa knocks on Gretchen's door for assistance. Melissa's mother has died and in the coming weeks the landlord needs Melissa to empty her mother's apartment. Gretchen reaches out and offers to help, but the apartment is a gut wrenching shamble of a home. There is little worth saving except for a few photos and a note that is discovered on the crate beside the bed. It is unfinished but in the two scribbled lines, Melissa discovers she has a brother and a sister that she never knew about. Even more shocking, she begins to uncover family secrets that show her who she really is. ...the story of the Nativity is alive in our modern world. Production begins May 2019 for The Christmas Town movie starring Candace Cameron Bure set to air on Hallmark. Two of Donna most cherished bestselling novels in one book. Two novels in one book. In The Christmas Shoes, a chance encounter between two strangers alters their lives forever. Eight-year-old Nathan is losing his beloved mother to cancer. His family is living a simple yet full life, struggling to hold on to every moment that they have together. Robert is a successful attorney who has everything-but has lost sight of what truly matters. When their paths cross on Christmas Eve, Robert is shopping for a family he hardly knows, and Nathan is shopping for the mother he is soon to lose. Through their meeting they will learn that the smallest things can make all the difference. In The Christmas Blessing, Nathan is now a medical student in his third year, and he realizes that there are still things to be learned about faith, blessings, and sacrifice. Lessons he will learn from Meghan Sullivan-a young woman born with a hole in her heart that has not kept her from becoming a champion runner. And lessons learned from a young boy named Charlie, who teaches him how to live a life of true courage. Together, they will help guide Nathan through the darkest period in his life. 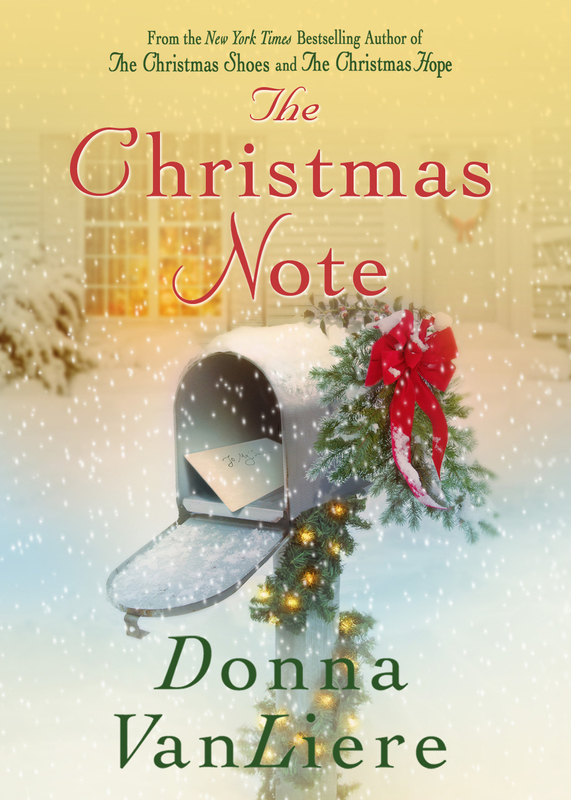 The Christmas Shoes and The Christmas Blessing, two of Donna VanLiere's most cherished bestselling novels, are inspirational stories about hope existing in the darkest places, teaching us that love is always the greatest gift of all. ...pitch perfect story of redemption and the true meaning of love. In this full-length novel from the New York Times Bestselling author of The Christmas Hope series Donna VanLiere has written a beautifully rendered and poignant story about one woman’s unlikely path to motherhood and the healing power of love. Tennessee, 1950: Still single and in her early thirties, Ivorie Walker is considered an old maid; a label she takes with good humor and a grain of salt. But when her mother dies, leaving her to live alone in the house she grew up in, to work the farm she was raised to take care of, she finds herself lost in a kind of loneliness she hadn’t expected. After years of rebuffing the advances of imperfect, yet eligible bachelors from her small town, Ivorie is without companionship with more love in her heart and time on her hands than she knows what to do with. But her life soon changes when a feral, dirty-faced boy who has been sneaking onto her land to steal from her garden comes into her life. Even though he runs back into the hills as quickly as he arrives, she’s determined to find out who he is because something about the young boy haunts her. What would make him desperate enough to steal and eat from her garden? But what she can’t imagine is what the boy faces, each day and night, in the filthy lean-to hut miles up in the hills. Who is he? How did he come to live in the hills? Where did he come from? And, more importantly, can she save him? As Ivorie steps out of her comfort zone to uncover the answers, she unleashes a firestorm in the town—a community that would rather let secrets stay secret. The Good Dream is a pitch perfect story of redemption and the true meaning of familial love. ...even in the darkest hours, we are never truly alone. It's 1947. Nine-year-old Jane Gable first lays eyes on young Milo Turner the day that her alcoholic father is buried. The Turners are the first black family ever to live in Morgan Hill, TN and Jane can't understand why some people are angry. When tragedy strikes the Turner household, the Gables are asked to make a decision that could rip their family apart. One path might open up a whole new world to them and bring them closer than ever. The other might bring them nothing but trouble and heartache. 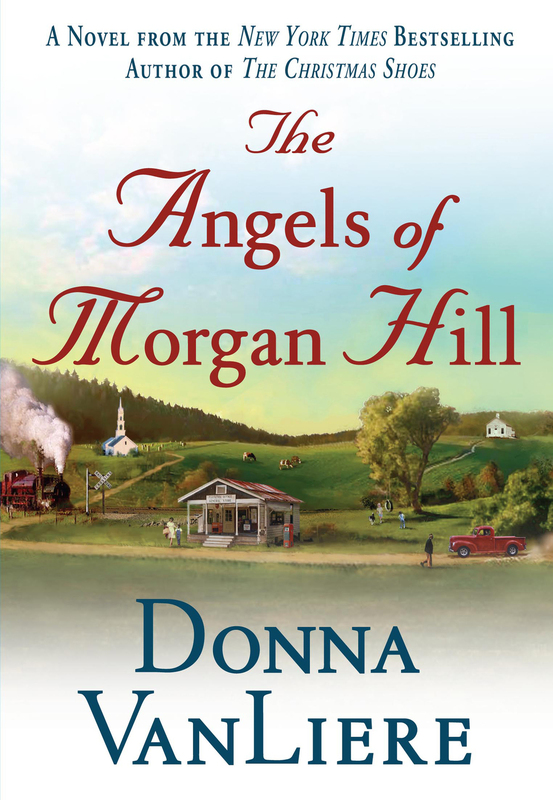 As Jane struggles to make sense of the changes in her community, she will soon learn about the angels who surround her, every day, in the most extraordinary—and ordinary—ways. ...a true story about losing your way in life... and finding it again.. 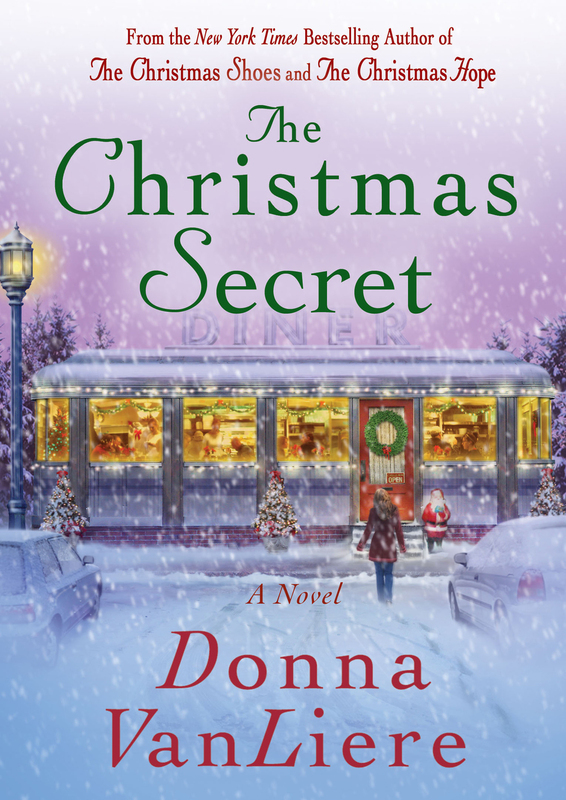 Author Donna VanLiere has inspired millions with her holiday stories. Now, she delves into the deepest places of her heart to give us the story of her own life. Finding Grace is an inspirational memoir about coming face to face with your deepest heartbreak…only to discover your deepest joys. This book is the powerful and often humorous story of one woman's journey of broken dreams. 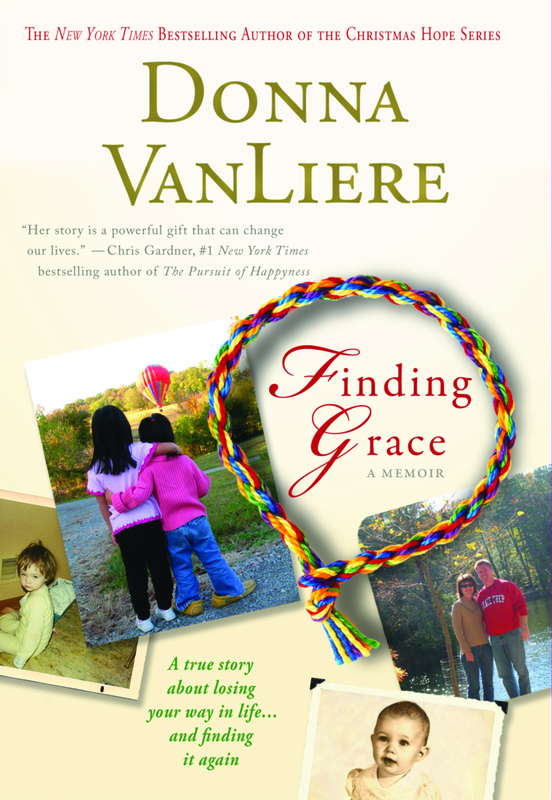 Finding Grace the story of how a painful legacy of the past can be confronted and met with peace. It is a book for anyone who has struggled to understand why our desires—even the simplest ones—are sometimes denied. It is a book for anyone who has questioned where God is when we need him most. This is the candid telling of one woman's unlikely road to motherhood, and the undeserved gift which is life itself. Simply put, it is the story of finding grace. ...faith in a Creator that can not be denied in the vastness of space. Rick Husband wanted to be an astronaut since his fourth birthday, but it wasn't always for the right reasons. Initially, he thought it would be neat... cool... a fun thing to do. It wasn't until he came to a spiritual crossroads and was able to give that dream up to discover the true desires of his heart before he actually got into the space shuttle program at NASA. Three failed attempts didn't daunt this driven pilot—and the fourth interview process, though lengthy and difficult, proved successful for him.